The team at Canberra Toyota were fantastic! 'Our experience with Canberra Toyota was guided by Rob Cameron with charming understanding and sage advice. 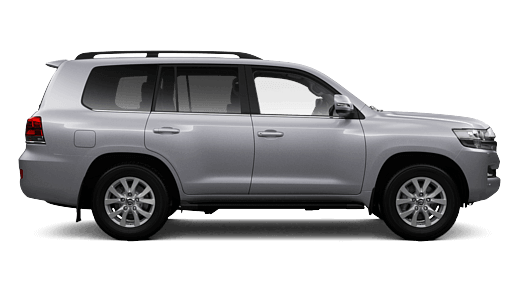 This is our second car from Canberra Toyota and I place great trust in their dedication to sustaining a good customer relationship and professional through-life support of the vehicle. Accident Assistance When I Needed It Most! “…A couple of weeks before my accident I saw an email come into my inbox from Canberra Toyota alerting me to their accident assistance scheme. I didn't have time to read the email at the time but somehow it stayed in my memory. Fortunately, it did, because while I was standing on the side of the road looking at the remnants of my new Toyota Prado I was able to the number from Canberra Toyota. I dealt with “Tosh” at Compass Claims who was very helpful and he did exactly what he promised to do. I even got an unsolicited telephone call from a team member on the morning the car was meant to be delivered apologising for the delay (unavoidable, as it had been a public holiday in Canberra) and reassuring me that everything was on track. The car was delivered to my office precisely on time which was greatly appreciated. Andrew Warren, Director at Andrew Warren Associates, March 2015. I really enjoyed my experience at Canberra Toyota, especially with Jesse and Kirsty's help. They were both such a gem. Kirsty continuously addressed all my queries even after the purchased. Thank you so much guys! Rob provided us with an outstanding experience. He was knowledgeable, courteous and provided great service throughout the whole process. I would gladly recommend him and your dealership to friends and family. Very quick and easy experience! Rob and Bernard were very easy to work with and made sure I understood everything! Rob and Belinda were professional, knowledgeable and helpful. Great car buying experience. Toyota Fyshwick was awesome. Rob was excellent. Big thanks to Kirsty for providing great service - wonderful to have another Canberra Toyota vehicle in the garage. Fantastic service that was very professional. Rob was absolutely fantastic. Due to his experience in the industry, he knew exactly what I wanted and what I didn't. One of the best. The man needs 10 stars, not 5! You guys were just fantastic. After I wrote my other Camry off in a bad accident and was having a horrible time, Rob Cameron couldn't have been more helpful and had me back on the roadwithin a few days. The man needs 10 stars, not 5! Thanks again Rob for all your help and thank you to Belinda for cheering me up! I really want to thank Kirsty for all her help and support that she showed me. Thank you for your help Kirsty. I have been converted to Canberra Toyota. Very impressive team at Canberra Toyota. The Sales and Finance Consultants were professional, courteous, and experts with the details, also highly efficient. Great car buying experience. I would recommend them without hesitation. Art Group taking delivery of their new HiLux SR5 Utes. 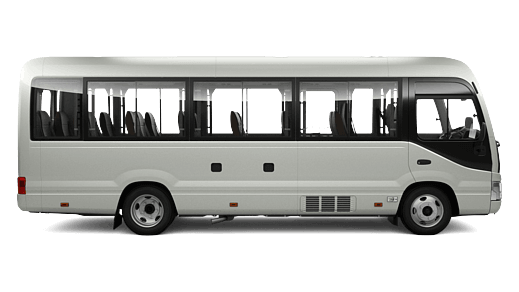 I found my time purchasing our vehicles to be hassle free and service provided by staff to be extremely good. 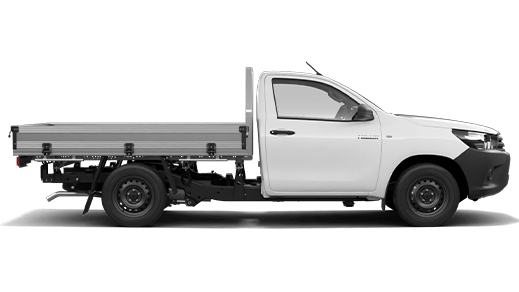 I would recommend Canberra Toyota to any persons thinking of purchasing a new vehicle. Kirsty was very helpful, friendly and knowledgeable. The team did a great job! Toyota Canberra could not have been more helpful and Kirsty in particular went above and beyond for us. I wish I could add more stars but there are only five! So happy with my new Toyota Corolla that I bought from Dominic Darmody at Toyota in Belconnen! Dom made the whole process so simple and easy. He was so friendly and helpful. I like that he walked me through all of the details and knew so much about the car. If anyone is looking to buy a car made by Toyota I would recommend visiting Dom. I wish I could add more stars but there are only five! Everyone at Canberra Toyota are absolutely amazing and so friendly! So glad I bought my first brand new car from them. Big thanks to Kirsty for helping me with my first purchase and also to Shab and Shannon. So excited to have my new Corolla!! We are very happy with the outcome of the recent purchase we made. What I enjoyed about the experience was that we didn't get pressured by Sam, the sales consultant, into any unnecessary upgrades. We were able to make a decision based on what we required. We were made to feel welcome and were guided through the admin process of trading in our used car. I would highly recommend Canberra Toyota Belconnen. Canberra Toyota yet again provided me with fantastic service. Sam was brilliant at sorting out my new Hilux very quickly. 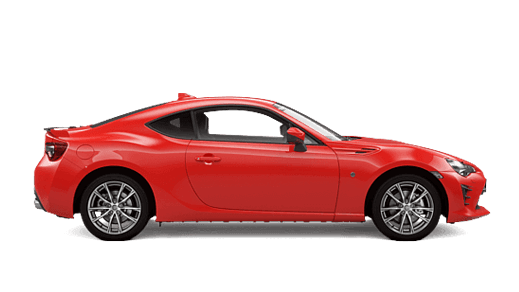 I was just so impressed with the exceptional service that I received from Sam at Toyota Belconnen. He went above and beyond for me to ensure I received the exact car that I wanted and I absolutely love it! I would have not hesitation in recommending Sam to anyone who wants a new car. 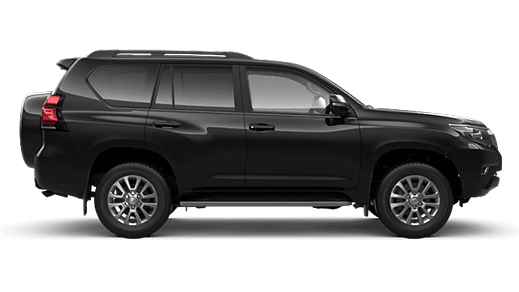 My wife and I were extremely impressed with the service that we received from Sam Truesdale at Toyota, Belconnen. After recently having bought a new apartment in Lawson, we found that the service that Sam gave us for the purchase of our little car was far in excess of the service we have received form the builder and developers of our apartment, which cost considerably more. Sam is friendly without being over the top, helpful and very well informed. The other team members that we dealt with during the purchase and pickup process were equally helpful and friendly. We came away feeling really well looked after. I would have no hesitation in recommending Canberra Toyota, Belconnen, and specifically, Sam, to anyone I know who is interested in purchasing a new car! Thank you to the team at Canberra Toyota Phillip! I just wanted to say thank you for some excellent customer service I received from the team at Canberra Toyota. My car was stuck in a carpark and the ignition wasn’t able to turn. Everyone I spoke to was really friendly and they genuinely wanted to help. Although we didn't get a solution I was really impressed with how helpful everyone was and how they got back to me no matter what and exactly when they said they would. I know for certain next time I'll be purchasing a car through you guys. So thank you to everyone that helped me out Friday and today, and keep up the good work! Friendly staff, helpful and informative. Listened to questions and concerns and explained everything in a professional and pleasant manner. I received excellent service from Steven. He is professional, kind and very knowledgeable. When I went into the Toyota dealer at Phillip I was intending to simply look at what was available. After a long period of illness I was finally able to drive again (the next day). 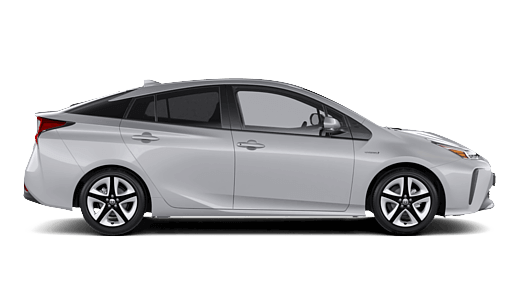 I asked about the Toyota cars I was familiar with but, after clear descriptions of price, fuel consumption, safety features and other details of each car from Kirsty, none of them really ticked all of the boxes. She then showed me the C-HR in the yard and took me for a drive in it (as I was not able to drive yet). The car was just what I was looking for. The service was thorough, offering any help needed with finance and insurance. I found the whole experience comfortable, not pushy or aggressive, and I was really sold on the features of the car as soon as I went for a drive. Kirsty organised for some bonus additions (bonnet protector and rugs) and then even organised a lift home for me, which saved me catching busses again. Excellent service on the day - follow up phone calls have also been helpful. Canberra Toyota Belconnen went above & beyond with their customer service. It’s hard trying to keep children entertained at places like car dealerships but the staff at Canberra Toyota were so friendly and accommodating to our two small children that we were able to walk away with full knowledge of the vehicle we had purchased and confident that had made the right decision. Toyota vehicles speak for themselves but the customer service at Canberra Toyota Belconnen is next level quality. 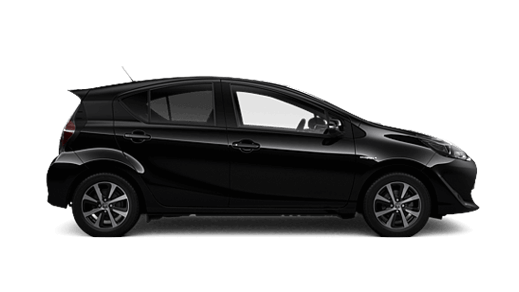 It was a very good experience to purchase the car at Toyota Belconnen: the salesman was very courteous and helpful. Great service from the whole team, particularly Sam that went above and beyond for me to get the car I wanted by the delivery date I wanted. Have recommended to a friend already! Nice car, good service - 5 stars for sure. Luke and Jesse were the most awesome people to talk to about buying a new vehicle, customer service was perfect, you can’t find it at other dealers. I highly recommend the boys to anyone who is after a new car. The service we received was at the highest level, Dusko has the best personality, so need more people like that in the industry. I received excellent service from the moment I walked into the showroom. Kirsty was absolutely amazing, she made the buy so easy. Couldn't recommend her more. 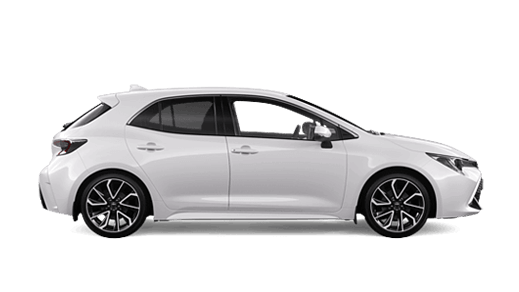 I found Canberra Toyota so helpful particularly as we had had our old Toyota for 20 years and it had never missed a beat so you can imagine I found all the new technology in the new Toyota Corolla really daunting. Kirsty was very good in explaining and demonstrating it all to us. Plus I had never driven an automatic car so I was somewhat stressed moving on to an automatic. Kirsty again was happy to go through all that procedure too with us. They whole process of trading in our old Corolla and buying a new one thanks to Canberra Toyota was easy and smooth and was stress free. Thank you Kirsty and Canberra Toyota. I received excellent service from Sam at Belconnen. Being able to work through my needs and see the vehicle on the 'big screen' was particularly helpful. Sam was very patient with my decision making and kept me informed of the progress of delivery of my vehicle. He contacted me the day before delivery to confirm time and remind me of what to bring to make trade-in and delivery process run smoothly. Ellis was extremely helpful with finance and warranty options and Rhiannnon was very helpful with window tinting, paint protection etc. On delivery day Sam introduced me to the girls on the service counter and booked in my one month check over for me. The service I received from these three staff was excellent, professional and friendly. 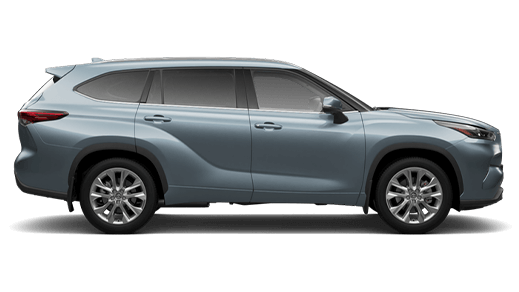 I would highly recommend Canberra Toyota Belconnen to anyone looking for a new car. 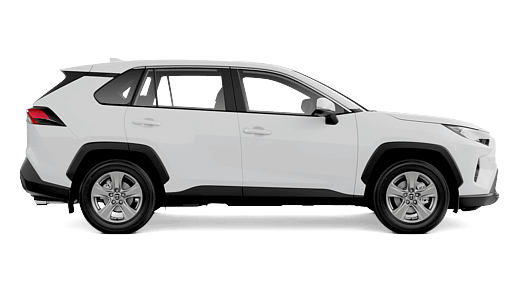 Absolutely thrilled with my new Rav4 and the service I received. From the moment we walked in our consultant Sam Truesdale provided us with excellent care. It was the same going through the buying experience with Ellis and Rhiannon. We have tried other dealers and none were as welcoming as the team at Belconnen. Thank you for making the process so quick, simple and easy. Dom from Canberra Toyota (Belconnen), was fantastic. Always friendly and never too busy to deal with me (despite how busy he obviously was with other things). He answered every question I had, or went out of his way to get the answer ASAP. Whether by phone, message or email... I never felt rushed or pushed with anything with Dom. Would not hesitate to recommend Dom and the team at Belconnen to anyone. Unfortunately for Dom, as we purchased a new Prado - we are not expecting to have to buy a new car from him for a while..
I’m very happy with the professionalism I’ve received from Dusko the sales person that I dealt with at Fyshwick Toyota. Excellent service. Steven Bailey was great. Love my new car. I found Steve to be most professional, enthusiastic and knowledgeable salesman. He made my contact with Toyota enjoyable. Very happy with the whole process. Steve is an excellent salesman and I felt very comfortable with him. I felt no pressure to buy a car. The rest of the team that I interacted with, (Kirsty, Jesse & I can’t remember the other Ladies name) were professional, bubbly and welcoming. Excellent service all around. Would highly recommend to anyone. The overall customer experience was exceptional. Louise went over and above to get everything ready for us including an additional break controller fitted. Meeting the Canberra Toyota team was great also - everyone is really dedicated. Just amazing really! Thanks Louise and thanks Canberra Toyota! Fantastic service from everyone at Canberra Toyota Phillip. I was greeted as soon as we walked in and the turnaround time was outstanding. Steve managed to organise a plate swap and the keys to my new car within less the 24 hours! Service was efficient and friendly. Staff were well informed regarding car features and purchasing procedures. Rating of 5 stars is well deserved. The guys at Canberra Toyota Woden are fantastic. They gave us the best deal in town. Fast processing and delivery. We would definitely recommend them to our family and friends. Omg overall there just aren't enough stars to rate Dusko and Belinda on their service they provided me! I first spoke to Belinda about finance, then was in the very next morning test driving my car with Dusko. I really felt looked after by the both of them! I really felt like apart of the Toyota family. Purchasing my car was a breeze, so many laughs with Belinda, I loved it. Honestly the best service from a really friendly team. Everyone was helpful and honest with me. Thankful I tried Fyshwick. 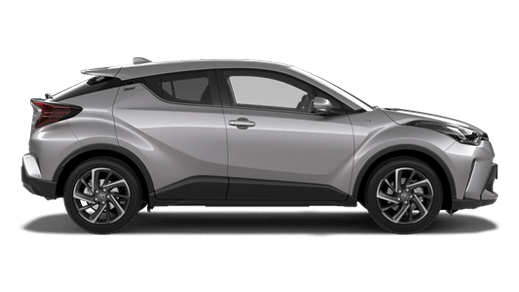 Btw the C-HR Koba is amazing! I love it so much. I found my experience with Canberra Toyota to be a positive one. Everyone I dealt with was helpful and accessible and they were happy to answer my questions. This is our second Toyota purchase with Dominic Darmody and our fourth from Canberra Toyota Belconnen. He is a good listener, pays attention to detail and is prepared to go that little bit further to look after his customer and as such he has excellent people skills which makes him and Canberra Toyota a pleasure to do business with. Thank you Toyota Belconnen! You are the best. A big purchase to make alone amazingly you made it so easy. Highly recommend Dominic, Jemma and the Belco group. 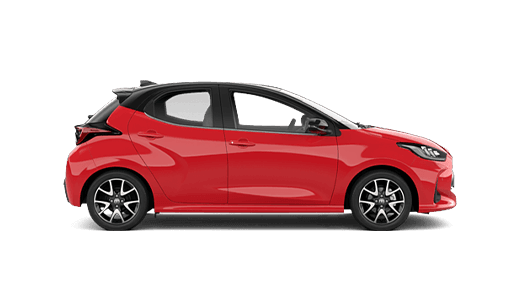 Fabulous experience getting my new car - again - at Canberra Toyota Fyshwick. Louise, Belinda, and Daniel were a pleasure to deal with. I highly recommend the place. Excellent experience! Walked into the dealership with only intentions to look for a car but ended up buying one! Dominic was the best help and sold us on a new car! Recommending it family and friends! The service by Louise was excellent. She made the process simple, keeping me informed and updated on progress. She is the ideal salesperson to deal with. Wow! What a feeling! Big thanks to Louise and the team at Canberra Toyota, Fyshwick, for making the whole experience of getting a new car so easy and enjoyable. Big thanks for so patiently explaining the car's features and set up Bluetooth, etc. Louise was highly organised, extremely knowledgeable and friendly. Dealing with her has been an absolute pleasure. I highly recommend Louise. If I could rate her more highly than five stars, I would. Very satisfied with product and sales. Enjoying driving the new Hilux. Thanks Canberra Toyota Fyshwick. Louise was great to deal with. Louise was extremely professional and helpful. I would not hesitate to recommend her service or that of Canberra Toyota to friends, family and colleagues. Daniel was really helpful and answered any questions we had. We did not feel at all pushed and he clearly wanted us to find the car that suited our needs. He was great showing us all the features of the car and was always very professional. We were very happy. Thanks to Dusko and Belinda for being down to earth champions. It’s nice to deal with good hearted people instead of pushy salesmen just wanting my money. They went above and beyond to help me buy my first brand new ute. When you’re made to feel at home it’s hard to shop anywhere else. Dusko was an absolute delight to deal with. He knows his stuff and nothing was ever a hassle. As you can see from the photo I was a very happy buyer! We can't thank Dusko enough for all his help with the purchase of our new vehicle. From shopping to driving away Dusko was an absolute pleasure to deal with. He made the whole transaction a smooth, enjoyable process. We felt no pressure to purchase the vehicle and Dusko's humorous personality made us feel at ease. He went above and beyond helping me (Jennifer) when I collect the vehicle as I was by myself and had my 2 young children with me. 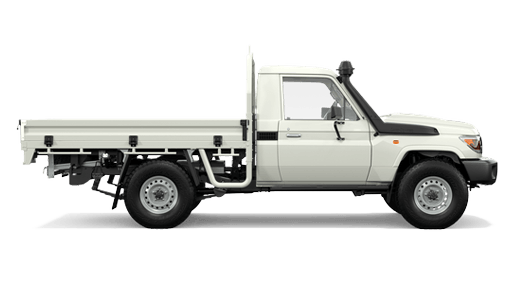 We will have no hesitations in recommending Dusko and Canberra Toyota to anyone looking to purchase a vehicle. Warm and friendly service with staff who are committed to their employer, and stand by their products. Certainly a better experience than a previous experience at another Canberra based dealership (non-Toyota). I'm very happy with the service that Belconnen Toyota provided. Thank you. Professional, knowledgeable and helpful staff. We absolutely love our new Camry. Highly recommended Toyota Belconnen. My experience at Canberra Toyota exceeded my expectations. From the moment I walked through the front doors of the dealership in Fyshwick to the day I picked up my new car, the service I received was of a very high standard. I was carefully stepped through the process of buying a car, had all my questions answered and was able to drive away with the exact car that I wanted. I will recommend Canberra Toyota to friends and colleagues in the future. Great service! Thank You Louise and Fyshwick team. Louise provided excellent service in all areas of the new Ute purchase. Her organisational skills are exceptional and her communication was great. I would highly recommend Louise to others. 110% I would recommend to all my friends. 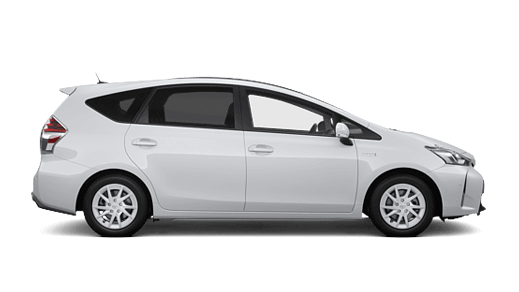 We have bought several vehicles at Toyota and we are very happy with the service they provide to us. Very professional and it’s a family relationship that we have. 110% I would recommend to all my friends. I have been a customer of Canberra ToyotaFyshwick for over decade and always happy to come back to them whenever I need help with choosing a car for my family and friends. Thanks to Belinda McKay and Dusko Jovanovic, with their Team for their excellent customer service, their willingness to assist us to the best of their ability and handling everything efficiently, in a friendly manner. They gave us the best service and ensured I am satisfied. ... I WILL CERTAINLY RETURN! Dusko, both Joy and I found all of the staff at Canberra Toyota from the manager down to be helpful and friendly. We would recommend your dealership any time. Thanks for your help. We were incredibly happy and impressed with our whole experience with Canberra Toyota Fyshwick. Our salesperson Daniel was very easy to communicate with and very helpful with all our questions. Thanks to the whole team. We are loving our new Corolla!! One of the nicest vehicle purchases I've ever had. Really happy wth the whole experience. All staff were friendly, jovial and helpful. Toby Billerwell was a pleasure to deal with, just like talking with a mate. Nothing was any trouble for him. One of the nicest vehicle purchases I've ever had. Belinda and Lawson were great to deal with. Belinda and Lawson were great to deal with. Very friendly, very professional and responsive to my needs. Read the testimonials from September 2017. The sales service was excellent, very courteous, and attentive to all details. Excellent 1st rate service. Pleasant and honest salespeople and very helpful administration staff. Very easy to talk to and also very patient when it came to signing the deal. I purchased the car for my parents, as a gift and they (Canberra Toyota, Phillip) made the entire process as simple as possible. I don't normally write reviews but I was extremely pleased with Luke and the entire team at Canberra Toyota, Phillip. 5 Stars! Sold by Rob Cameron at Canberra Toyota. Rob went over and above to make the experience easy, straight forward and stress free. A great experience and very happy result. Louise was fantastic with my first experience of buying my Hilux. She was extremely informative and professional. Couldn't ask for a better person to help me with my car. Thank you so much Canberra Toyota Fyshwick – couldn't be happier! From Test Drive To Sold - An Awesome Purchasing Experience! I was on a mission to purchase a specific vehicle. One was going to become available the following day and I was able to take it for a test drive. Sold. (Vehicle Sales) Lawson was very informative and honest with his answers to my questions. I even had a couple of questions after purchasing of which all were answered promptly via email. Lawson went above and beyond. An awesome purchasing experience! Thank you Mirko and the team at Canberra Toyota Fyshwick for going above and beyond to ensure they delivered their "5-Star Customer Service". 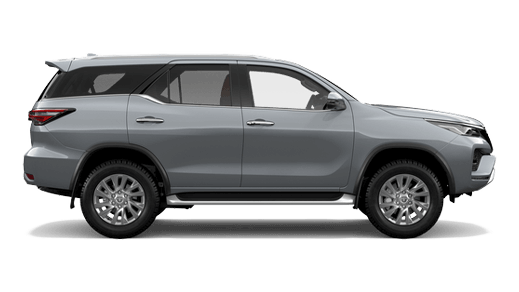 My wife and I received thorough, professional, courteous sales and after sales service from all team memmbers involved at (Canberra Toyota) Belconnen. The entire staff at Canberra Toyota Fyshwick were friendly, helpful and supportive of each other. Our sales rep, Rob Cameron, was particularly worthy of note for his excellent attitude and assistance. I went to Canberra Toyota after I was rejected by another Toyota dealer in Canberra. Finally, Canberra Toyota made it for me and I got the same car, same colour as what I tried earlier without having any trouble. They delivered my car very quickly. I especially thank Daniel & Bernard for their amazing assistance. I strongly recommend that your first place should be Canberra Toyota, if you want to buy a Toyota Car. Read the testimonials from August 2017. A huge congratulations to Erin Osborne on her brand new Toyota C-HR! Erin plays for Cricket ACT which we proudly support. Enjoy and happy driving, from the team at Canberra Toyota. 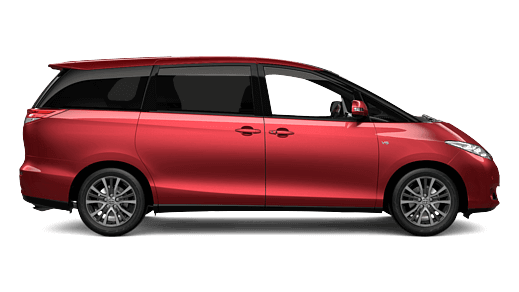 "Thanks for all the support Canberra Toyota"
Everyone we met when purchasing our new car were extremely polite and helpful especially Dusko Jovanovic the salesman who helped us through the whole process of organising our purchase. I especially loved the ribbon on the car on the day we picked it up. Thanks to all the friendly team at Toyota in Fyshwick. Great patience and attention to detail. I took the car for a drive and...that was it I put down a deposit! This began one Saturday morning, prepared to do the grocery shopping and just checking out what second hand cars were available at Canberra Toyota, Fyshwick. That was when I met Rob who listened to my requirements in a car. Without any sales pressure, we walked around the sale yard and alas there it was. I took the car for a drive and ........ that was it I put down a deposit. Rob and his colleagues dealt with the paperwork, within a timely manner and efficiently. The entire changeover was simple and stress free. Thank you. Great service and Rob looked after us. Would have no issues buying another car from him and Canberra Toyota. Awesome customer service and experience. My car was ready as requested and the sales staff went out of their way to make sure the delivery process was smooth and timely. Well done. Great Service. Lawson and Belinda from Canberra Toyota (at) Fyshwick were fantastic to deal with. Couldn't recommend them highly enough for a pleasantly simple experience. Will definitely return. Many thanks. Great experience with Belinda & Rob. Luv their help, attitude, & patience. Would recommend to anyone in the future. P.S. I love my car! All the staff at Canberra Toyota were helpful and pleasant to deal with especially Rob Cameron. Thank you for making the whole experience so easy and enjoyable. Corolla Accent Sedan used car, sold and delivered by Rob Cameron at Toyota Fyshwick. Thank you. Buying my Toyota Aurion Sportivo - Wonderful! Buying my Toyota Aurion Sportivo at Toyota Fyshwick was great. Lawson & Bernard were wonderful & I had no hassles. Love my car. Thank you! Thanks Canberra Toyota at Fyshwick for my new wheels! Lawson Cole was so good to deal with, couldn't have gone any better! Whole process was extremely smooth & quick. Thanks Toyota Fyshwick for my new wheels! Informed & engaged throughout the sale - all the way to the rubber hitting the road! Dealing predominantly with Dom (New Car Sales at Canberra Toyota, Belconnen) was an absolute pleasure. They balanced consultation with commercial possibilities and I felt informed and engaged throughout the sales process, all the way to the rubber hitting the road. Richard was my initial contact but passed me professionally to new car sales seamlessly. Impressed and will be a keen referral tool for your brand. We had a very pleasant experience with Canberra Toyota, purchasing our new car! Tom was extremely helpful and answered all of our questions taking the time to listen to us and our wish list. Jemma was also fabulous, helping us with our finance situation. I would highly recommend Tom and Jemma to help you buy your new car! We picked up our new car today from Canberra Belconnen Toyota, the staff have been very helpful throughout the process. Thanks again. Dana at Canberra Toyota Belconnen's New Cars - Recommend Him! Dana was amazing! Patient with all my big and and little questions (I just arrived from overseas). Funny, knowledgeable and would highly recommend him! In love with my new Toyota. Lawson went beyond the call. Explaining in detail all the new technology. Lawson even called me the next day to check on how I was going with my keyless car. Arin was also fantastic with adding paint protection. She made that process so easy. To Belinda who transfered my rego effortlessly, to all at Toyota Fyshwick I thank you all, especially Lawson. Louise is worth her weight in gold. Best service I have had from a car dealership. Very happy with the Toyota C-HR Koba. Great car, fantastic service and a fun buying experience. It's my 4th new car and never have I been shown such personal treatment in my purchase. A lot of car dealerships could learn from this. Thanks Dom and team, and yes there is a team here. Well done. The Staff Were All Amazing! The staff were all amazing and made the whole experience great. Read the testimonials from July 2017. 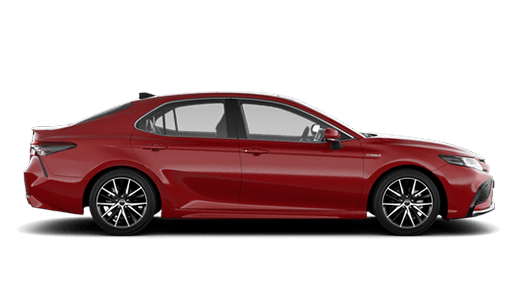 We found Canberra Toyota at Fyshwick to be very helpful in providing information on the Camry Atara SL that we had found on their website. Sales staff were knowledgable about the car's features and the test drive route confirmed its suitability for our needs. On delivery, the car was presented in tip-top condition and we were pleased to take ownership of it. Rob's service was excellent. Nothing was to much trouble. Will definitely recommend you to others. The process was seamless and hassle free. Read the testimonials from June 2017. I had a wonderful experience with Rob at Canberra Toyota. Everything was so easy and and everyone was so friendly. Thank you! The Aurion Is A Great Vehicle! Read the testimonials from May 2017. Great service. Gave us the confidence and future support we were looking for. They gave much more than just 'selling a car'. Read the testimonials from April 2017. I was incredibly pleased and happy. Customer service is so apparent. Louise took a lot of time to ensure all my needs were met (often no matter how pernickety was) I felt she listened to me not just wanted to sell a car. Throughout the order and delivery she kept me fully informed. She really exceeded all expectations. 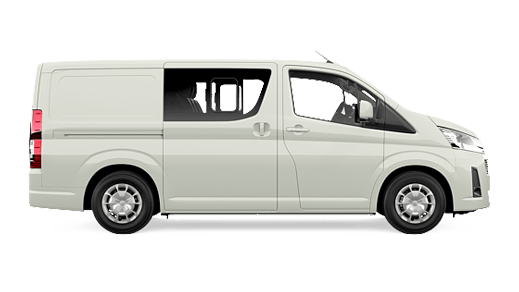 Picking up was fabulous - a real occasion and very professional as everything was explained and I was introduced to the service manager. I wish I could afford another Toyota just so as I can go through the experience again - now. From the first contact with Rob at Fyshwick through to the collection of my vehicle, I can’t fault the advice, service and sales process. I didn't feel pressured in any way and am confident I have made the right choice. The extras I received have been most welcome and my peace of mind with the included warranty package (on a 2009 vehicle) is priceless. The dealership is a pleasure to attend and all staff I have had contact with seem to enjoy their job which reflects in their customer service. I've already got Rob onto looking for a nice vehicle for a family member. The service and attention we received at the Fyshwick Dealership was first class. The staff (all staff) were friendly, accommodating and couldn't do enough to help. Each time we went in we received a very friendly and warm welcome by everyone. Rob Cameron and Belinda McKay are a real asset to the Company and we couldn't speak highly enough of them. 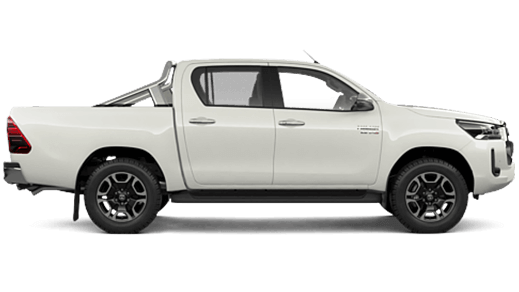 We would highly recommend Canberra Toyota Fyshwick to anyone interested in purchasing a vehicle. It was a pleasant experience to get a new car. Thanks to Canberra Toyota Fyshwick store. Thanks for making it an enjoyable & easy experience Rob. 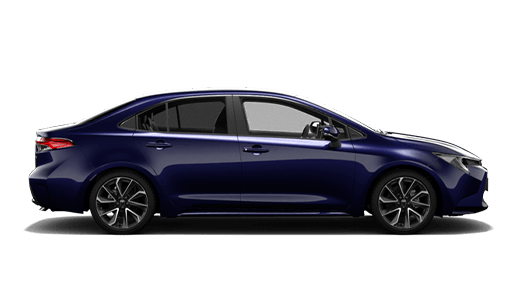 Puppy & I are excited for our first new car... a fancy Hybrid Corolla! Gone are the jalopy car days. Pleasure to deal with all the Toyota team involved. Read the testimonials from March 2017. By far THE BEST experience i have had buying a car. Rob, Hilton and Belinda were all brilliant to deal with. Thanks Guys. Buying My Car Was Fun! The people at Toyota Fyshwick are fabulous. They made buying a car an extremely fun experience. I bought a car from this dealer 8 years and because of my previous experience is the reason why I chose them again. I had the same experience again this time. Professional and funny. What a great combination. I will be choosing this dealer in the future. Matthew - you are one in a million, Rhiannan you are one in a million, Gemma you are one in a million. You guys have met all my expectations and have looked after me so well. Plus you guys give great hugs. "Hi Toyota, Rob Cameron was really helpful with finding the right car for my needs, explaining the features of the car and giving me a great price. I need a reliable car to travel to the snow in winter and for long weekend drives. The finance was explained clearly by Belinda and the whole process was efficient and stress-free. I would recommend you to my friends and colleagues." "It was an absolute pleasure to deal with Roc when purchasing our new car! He is professional, courteous and efficient. The transition between trade in and purchase was seamless which meant we had our new car within 24 hours. It was also a pleasure to work with Bill and Belinda. Michael - you have a great team and we will definitely recommend Canberra Toyota to our friends!" Belinda (a.k.a. Finance Goddess) as always was amazing to deal with, she's awesome. Rob was friendly and did what he said he was going to do. Seamless from start to finish, exactly what we wanted. We absolutely wouldn't go anywhere else....so please make sure you hang on to Belinda for many years to come, she's an asset to your business! "Just a little something to say thank you very much for all you have done for me over the past week regarding getting my car serviced at Canberra Toyota Gungahlin."